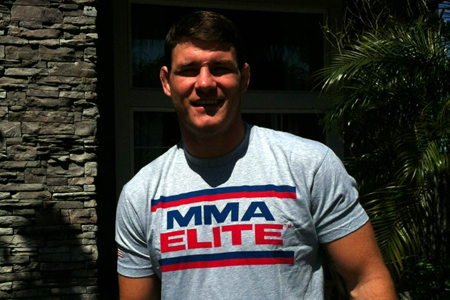 Michael Bisping (Pictured) certainly talks a good game, and with a 23-4 mixed martial arts résumé “The Count” has walked the walk most of the time. However, after beating Brian Stann to bump his UFC record to 13-4, Bisping was still not guaranteed a shot at middleweight king Anderson Silva’s crown. While UFC president Dana White thinks the prospects of the scrap are intriguing, he was noncommittal when asked if Bisping’s unanimous decision victory over the “All-American” warranted next dibs. Bisping stormed onto the Octagon scene as a contestant on “The Ultimate Fighter 3.” After six long years the Brit has never even sniffed a title fight, let alone don UFC gold. All the while, lesser accomplished fighters like Patrick Cote, Thales Leites, Demian Maia and arguably Yushin Okami have challenged Silva for his throne. Granted, those middleweights got their shot when the weight class lacked depth and Bisping was still establishing himself in the division. Still, it makes you wonder if Bisping will always (at best) be playing third fiddle. Unfortunately for the 33-year-old, the line to the top has never been longer.